Winter has arrived in Beijing, and residents are struggling to escape the heavy smog that has settled on the city. This season the air pollution in China — stemming from power plants, factories, vehicles and other sources — has grown so bad during the past five days that it has put the safety of half a billion people at risk. Since polluted areas of north and central China were put under red alert from Friday until Wednesday by authorities, the haze has thickened, impacting everyday life and causing tens of thousands of "smog refugees" to evacuate. On Friday, Xinhua, an official news agency in China,reported that road construction has been halted, several schools have suspended classes and residents have been advised to remain indoors until conditions improve. According to The China Daily, the smog has been so disruptive to travel that severe flight cancellations and delays have taken place at local airports. Ctrip, China's leading online travel agent, expected 150,000 people to flee the smog by traveling to places like Australia, Indonesia, Japan and the Maldives. State media reported that 169 flights were canceled at Beijing Capital International Airport, where visibility fell to 300 meters (984 feet) at one point. In Tianjin, a nearby city, authorities also canceled 350 flights and closed all highways in the municipality, which made it extremely difficult for unhappy residents to escape. 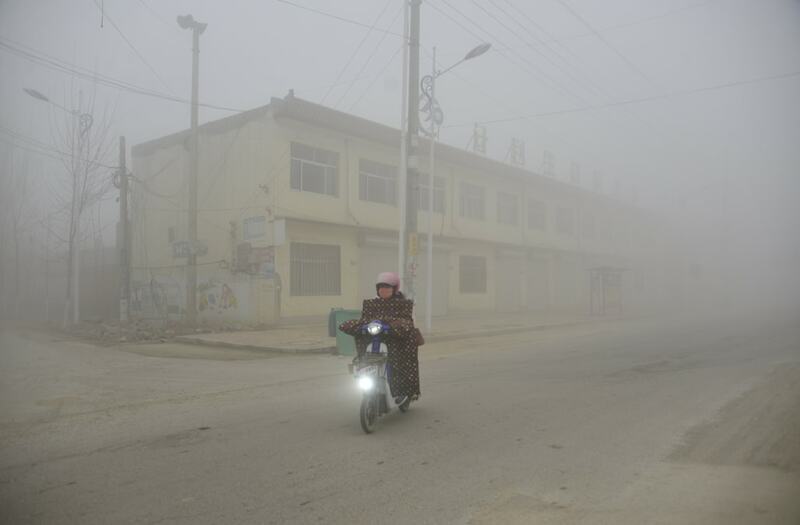 Many people, such as Jiang Aoshuang, decided to take cover in smog-free regions of China, which became quickly packed. Aoshuang told the Global Times she evacuated with her husband and 10-year-old son to stay safe from the smog and protect their lungs. The family headed to Chongli, a ski resort about three hours north-west of the Beijing, where they discovered they weren't the only ones with the idea. "It really felt like a refugee camp," Aoshuang said. On Saturday, after pollution levels soared to more than 10 times the safety limit, Beijing and 22 other Chinese cities were forced to impose emergency measures such as banning vehicles from the road and ordering factories and schools to close. Some teachers went so far as to live-stream lessons to children in their classes. Beijing was also issued smog-related red alerts in 2015, and India has also dealt with serious smog as recently as November.